Defendants Dean Foods Co. and WhiteWave Foods Co. sought centralization of five actions based in Arkansas, California, Illinois and Florida. Pursuant to 28 U.S.C. s 1407, the U.S. Judicial Panel on Multidistrict Litigation transferred the cases to the Southern District of Florida and assigned them to Hon. Joan A. Lenard for centralized pretrial proceedings. In re Horizon Organic Milk Plus DHA Omega 3 Marketing And Sales Practices Litigation, — F.Supp.2d —-, 2012 WL 432621, MDL No. 2324 (U.S. Jud. Pan. Mult. Lit. Feb. 9, 2012). No party opposed centralization. Plaintiffs in the Western District of Arkansas, Middle District of Florida and Southern District of Florida actions supported centralization in the Southern District of Florida. Plaintiffs in the Southern District of California and the Northern District of Illinois actions supported centralization in the Northern District of Illinois. 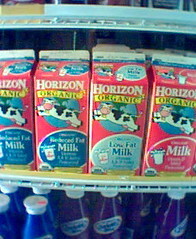 The MDL Panel found that the actions shared factual questions arising out of allegations that defendants’ representations regarding certain milk products fortified with DHA Omega-3 FN1 under the brand name “Horizon Organic Milk” FN2 were misleading insofar as they claimed that the milk supports “brain health” in children and adults. The Panel decided to order centralization in the Southern District of Florida because several plaintiffs supported centralization there, and that district “is presiding over fewer MDL dockets than other proposed districts.” Id. Before John G. Heyburn, II, Chairman, Barbara S. Jones, Paul J. Barbadoro, Marjorie O. Rendell, Charles R. Breyer.